Engraving can be done to personalise a wide range of products. By making use of state-of-the-art equipment at Fast-Fix, engraving services can be done both by hand and by computers. These days laser engraving has become quite popular among people. 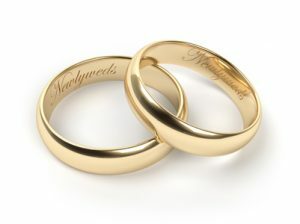 We are able to provide engraving services for items that most engravers are wary to touch. There are different examples of items which could use of engravings. Engraved gifts and trophies can have your names in gold, or any other material. Our experts can mostly engrave on the same day as they are given products, but just in case there are any further delays, you will be informed. Apart from the above, there are jewellery items as well that can be engraved upon. These include rings, bracelets, jewellery and expensive watches. With the help of our photo-etching service you can have a desired photo permanently engraved on wood or marble. Personalised wedding gifts are also great options. Our engraving services are highly sought after in Florida. Within Florida, our services span an area which includes Port St. Lucie, Jensen Beach and Stuart. If you have an important occasion coming up where you need such a gift, and you are residing in any of the above areas, then do not hesitate to come to us. We ensure that we get you the best possible prices in the market. Personalisation is a very important element in today’s world. It gives a person immense satisfaction to see his or her own name on a particular item such as pen, trophy or jewellery. Whether that gift is received in an awards ceremony or possibly on the occasion of an anniversary, it really does not matter. You will notice that gifting such an item will always create a special memory of you in the mind of the recipient.